Added to the our portfolio in 1993, the Shoppes at Popps Ferry is a 52,000+ SF shopping center that includes a 3,500+ SF out parcel. The center underwent extensive renovation in 2011 when its façade was updated, LED lighting was added throughout its outdoor areas and additional retail space was demised. 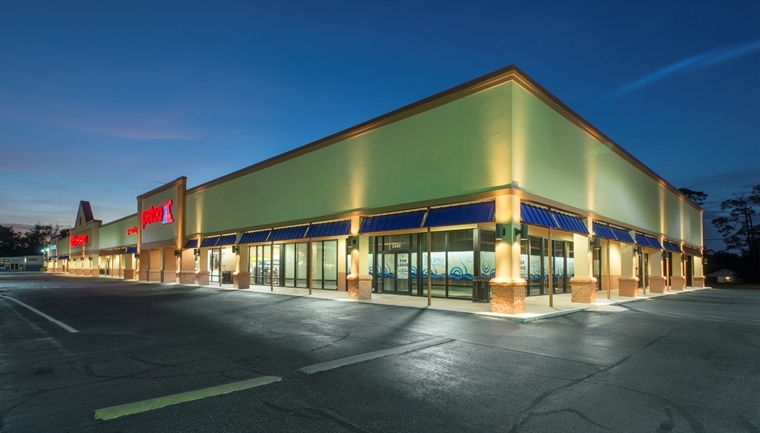 By “right-sizing” the Office Depot from 28,000 SF to 17,000 SF, COMVEST enabled West Marine to increase its footprint by one-third and created 7,810 SF for a future tenant. New and additional glass storefronts, columns and awnings, and a resurfaced and restriped parking lot completed the center’s upgrades. 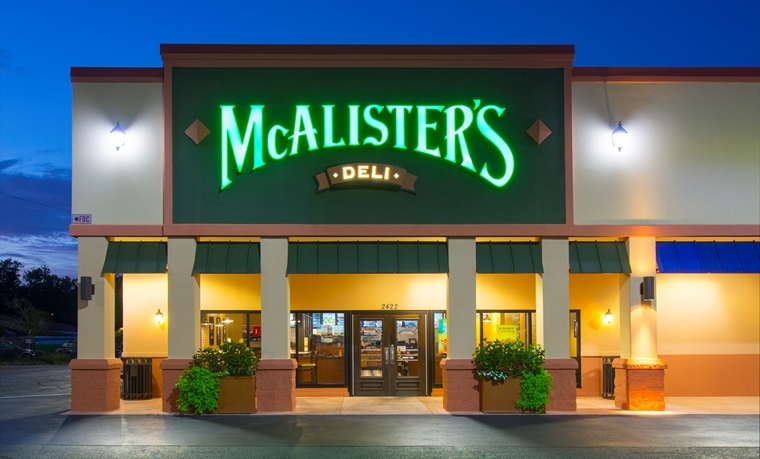 McAlister’s Deli – Founded in 1989, McAlister’s® Deli is a fast casual restaurant chain known for sandwiches, spuds, soups, salads, desserts and McAlister’s Famous Sweet Tea™. In addition to dine-in and take-out service, catering with a selection of sandwich trays, box lunches, desserts, a hot spud bar and more are offered. 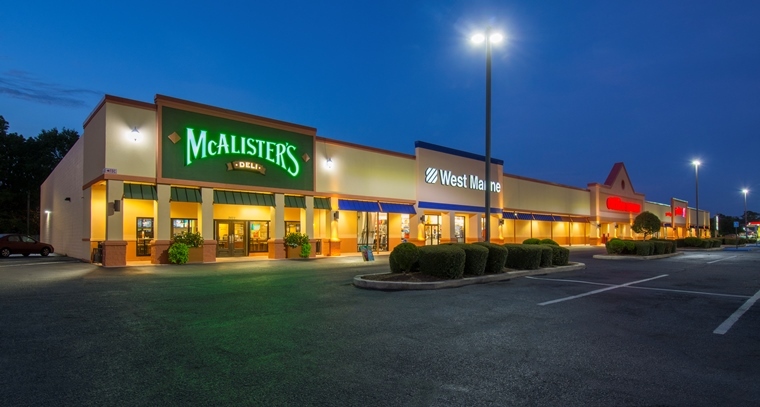 With numerous industry accolades, the McAlister’s brand has 338 restaurants in 24 states. West Marine – West Marine is the largest specialty retailer of boating supplies and accessories, with over 300 stores located in 38 states, Puerto Rico and Canada. The company now carries more than 75,000 products, ranging from the rope that started it all, to the latest in marine electronics, technical apparel, footwear and accessories. In addition to its retail stores and Port Supply wholesale divisions, the company serves water lovers in more than 150 countries worldwide through its mail order and Internet divisions. Office Depot – Office Depot and OfficeMax merged in November 2013. The two companies created a stronger, more efficient global provider of products, services, and solutions, fully committed to setting a new standard for serving the workplaces of today and tomorrow through innovation and exceptional customer experiences. 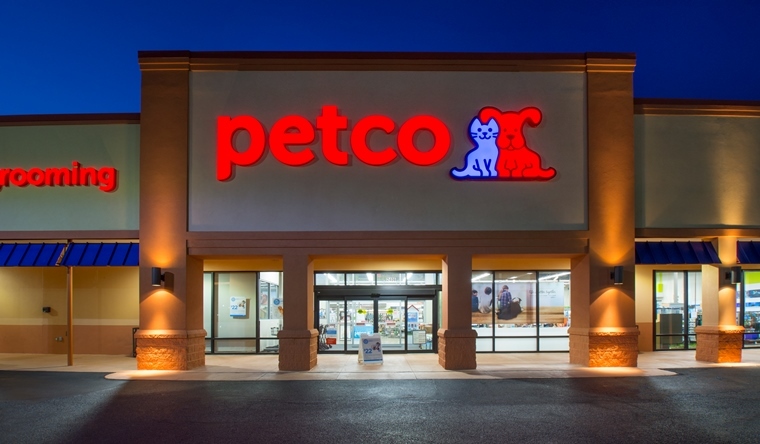 Petco – A privately held pet retailer in the United States, with corporate offices in San Diego and San Antonio, that sells pets as well as pet products and services. Petco sells or holds for adoption fish, reptiles, small birds, hamsters, guinea pigs, and mice. Pet services include grooming and dog training.As of 2014, the company operates more than 1,300 locations  across the United States, Mexico, and Puerto Rico, including more than 100 Unleashed by Petco locations, a smaller format neighborhood brand launched in 2009; nine Pooch Hotel locations for pet daycare, boarding, and spa services; and an online shopping destination at petco.com. Starbucks – An American global coffee company and coffeehouse chain based in Seattle, Washington. Starbucks is the largest coffeehouse company in the world with 21,160 stores in 63 countries and territories, including 12,067 in the United States, 1,570 in China, 1,451 in Canada, 1,070 in Japan and 793 in the United Kingdom. Starbucks locations serve hot and cold beverages, whole-bean coffee, microground instant coffee, full-leaf teas, pastries, and snacks. Most stores also sell pre-packaged food items, hot and cold sandwiches, and items such as mugs and tumblers. Game Stop – A global multichannel video game, consumer electronics and wireless services retailer with more than 6,600 stores worldwide, GameStop is a family of specialty retail brands that makes the most popular technologies affordable and simple. GameStop’s buy-sell-trade program provides substantial value to customers looking to trade-in video game hardware and software, or smartphones and tablets, such as iPhones, iPads, Kindles and 48 different Android phones.